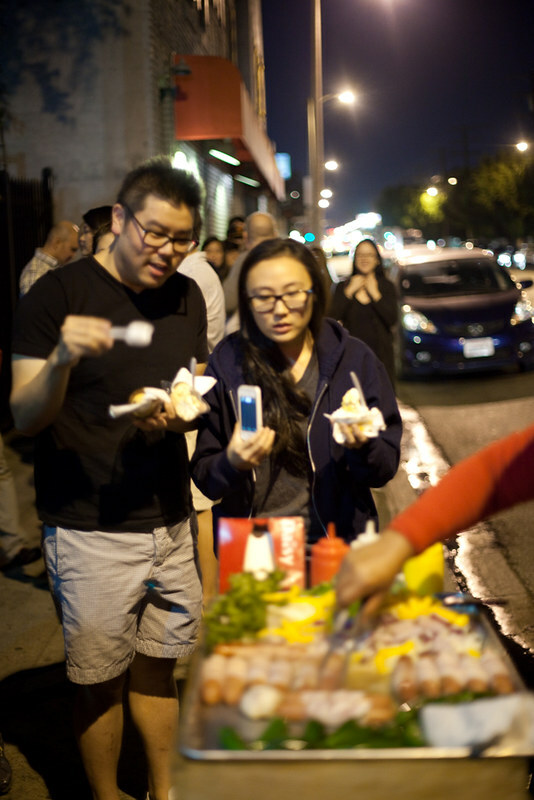 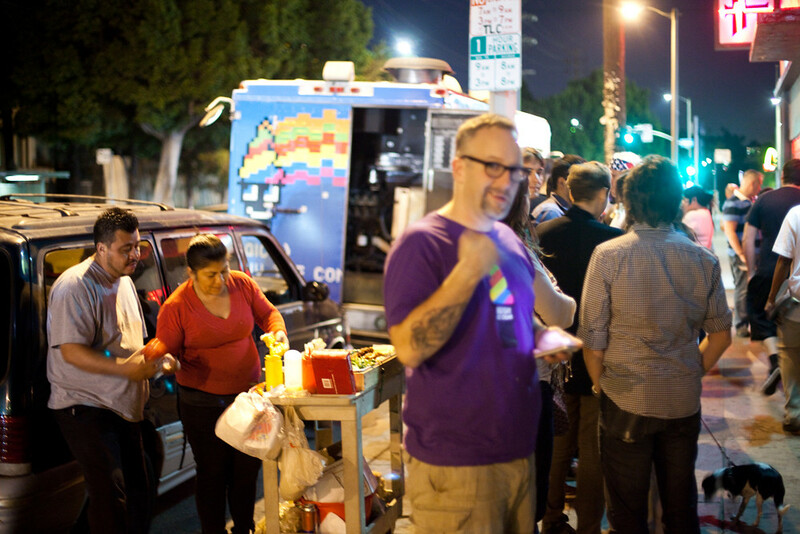 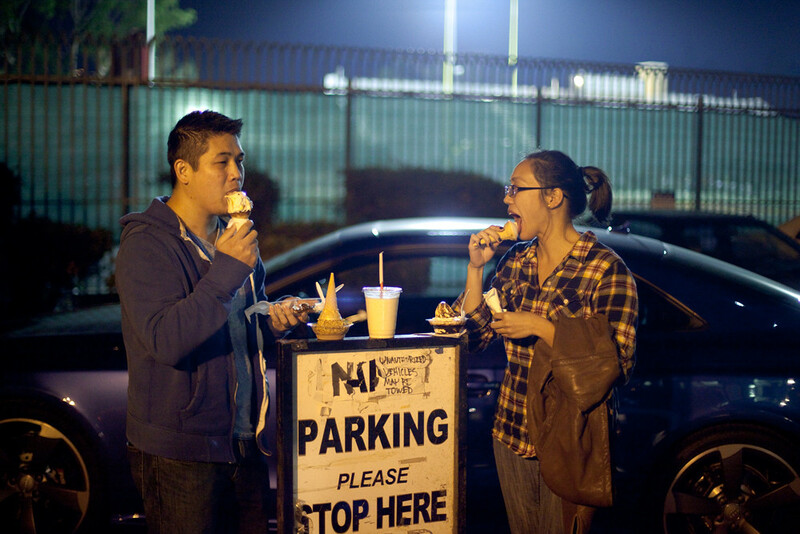 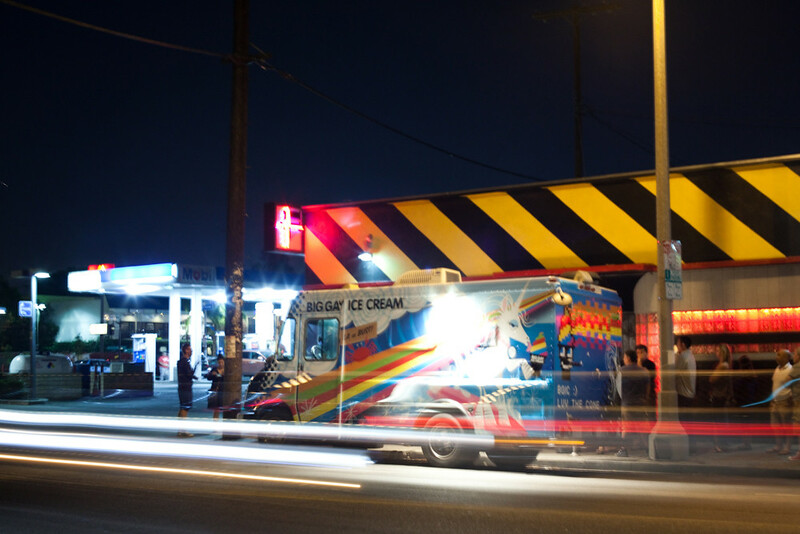 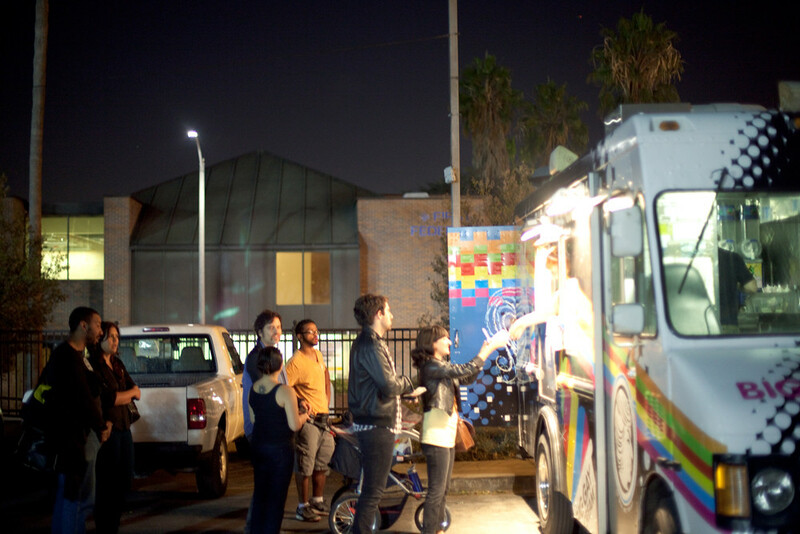 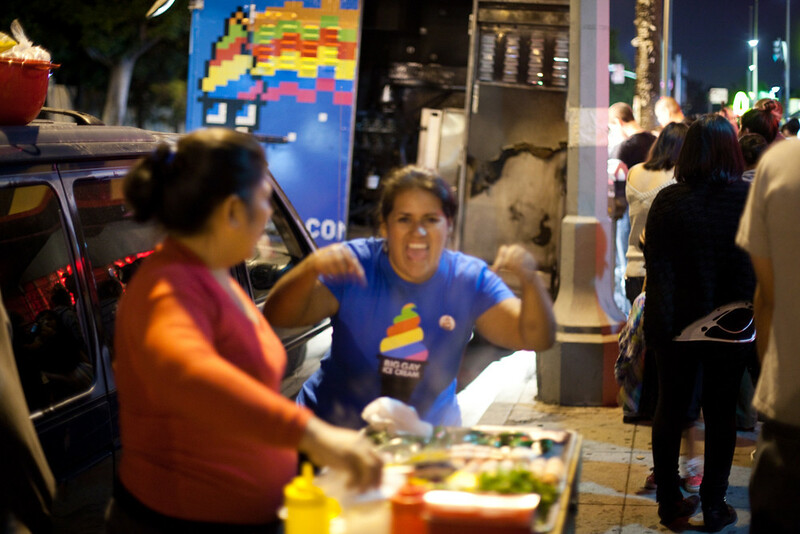 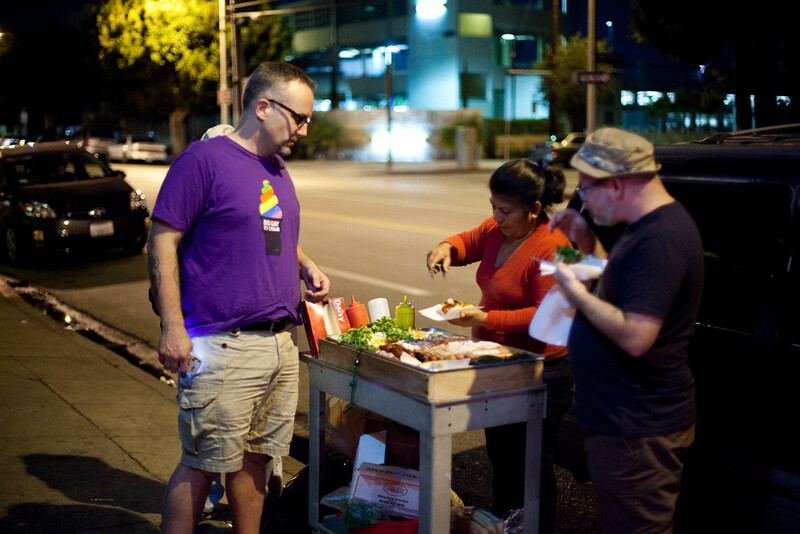 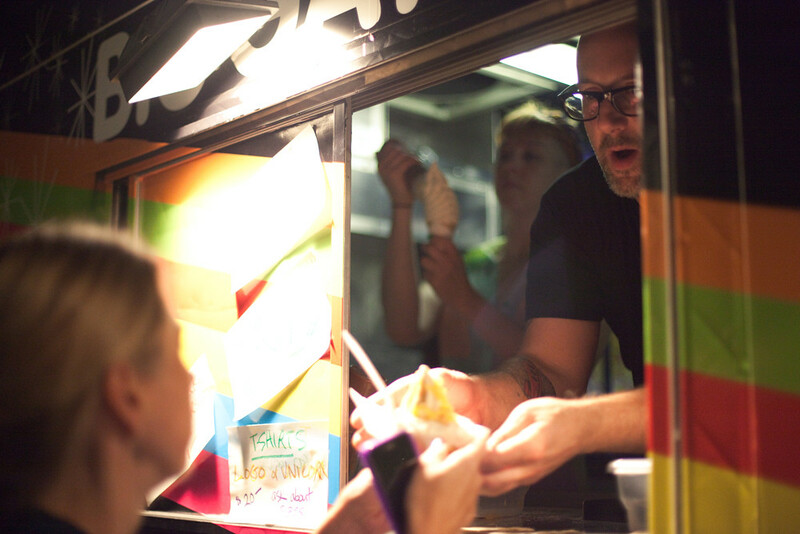 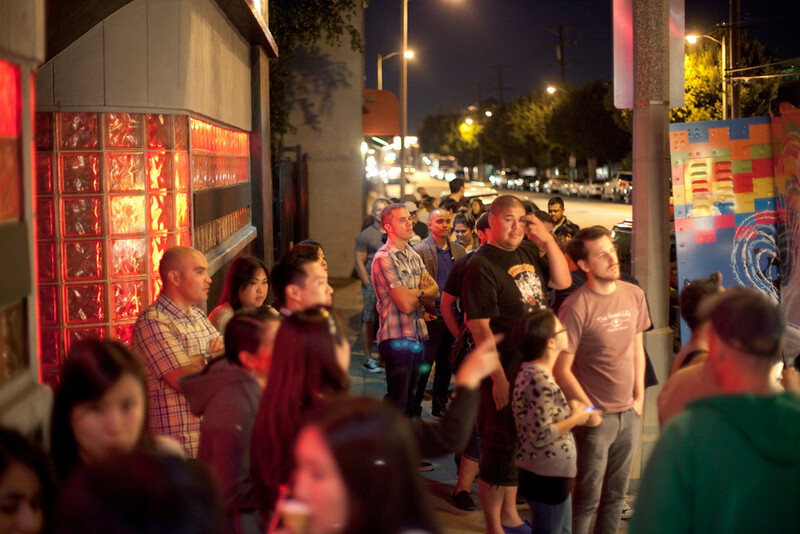 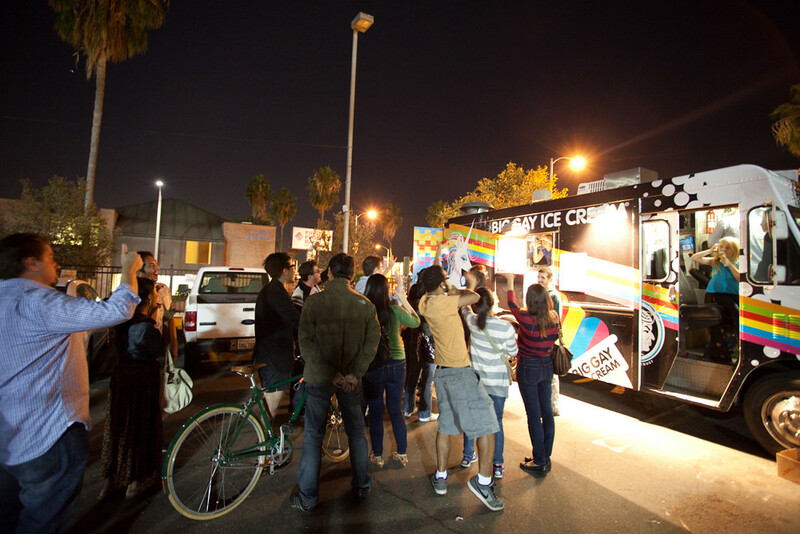 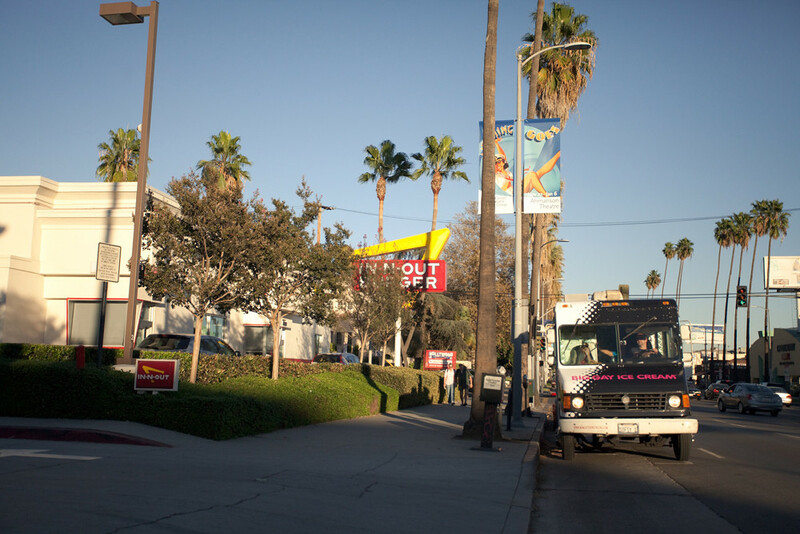 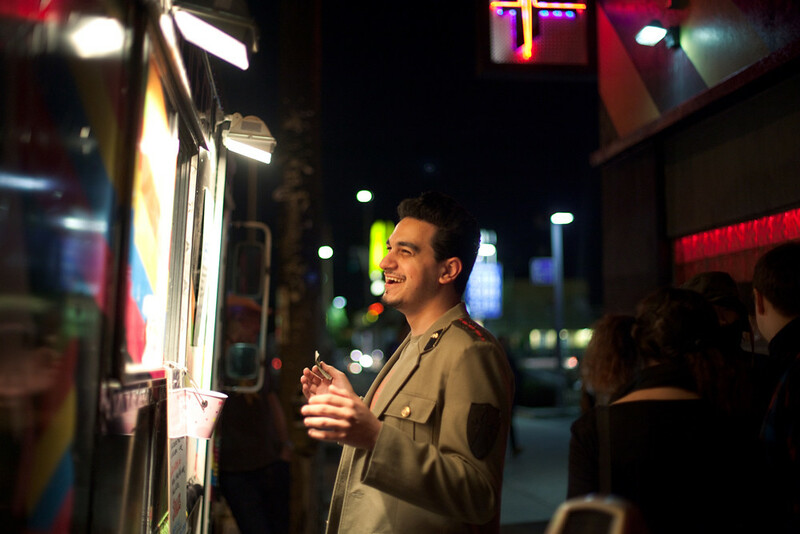 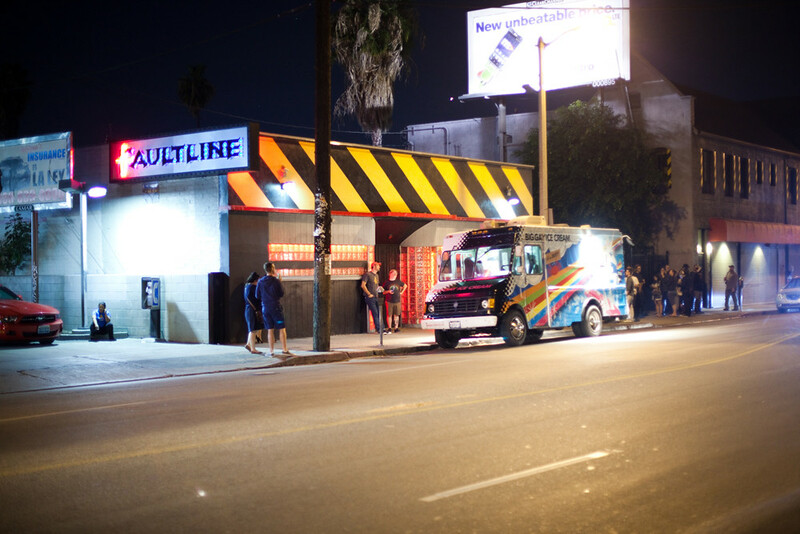 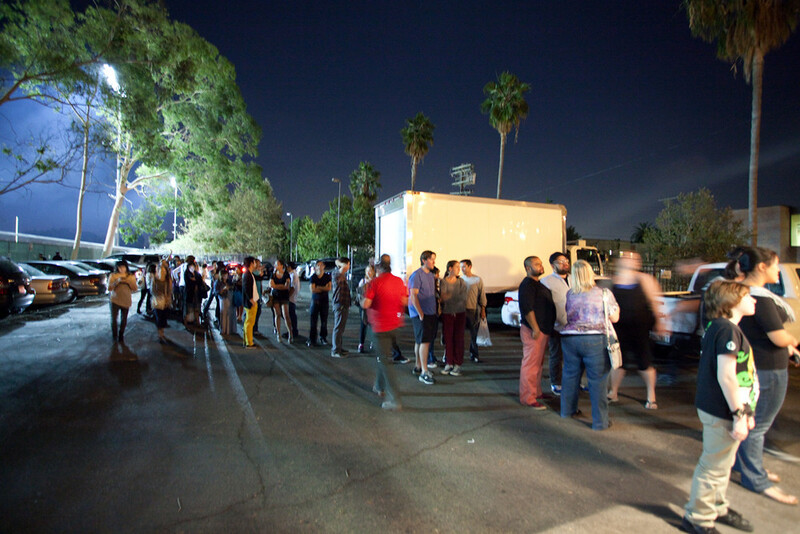 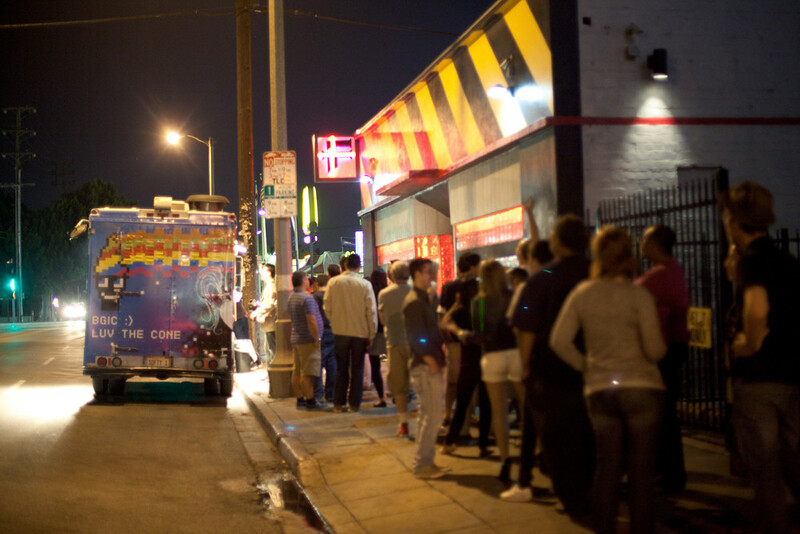 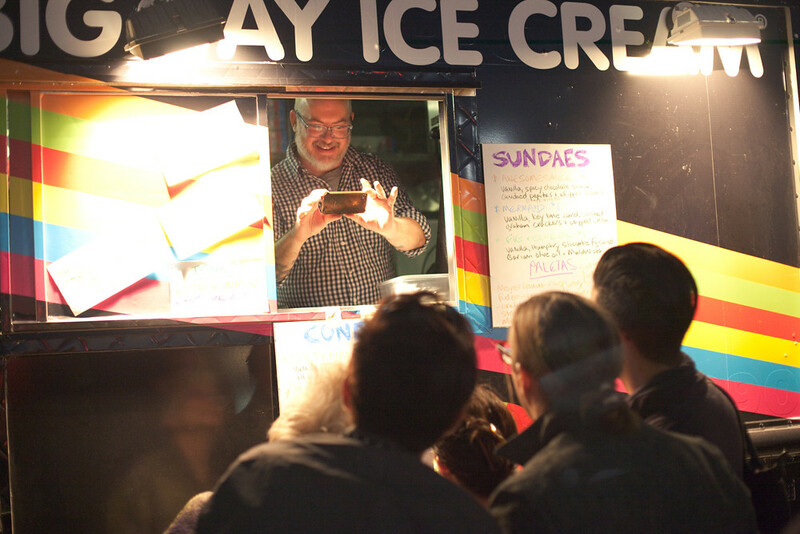 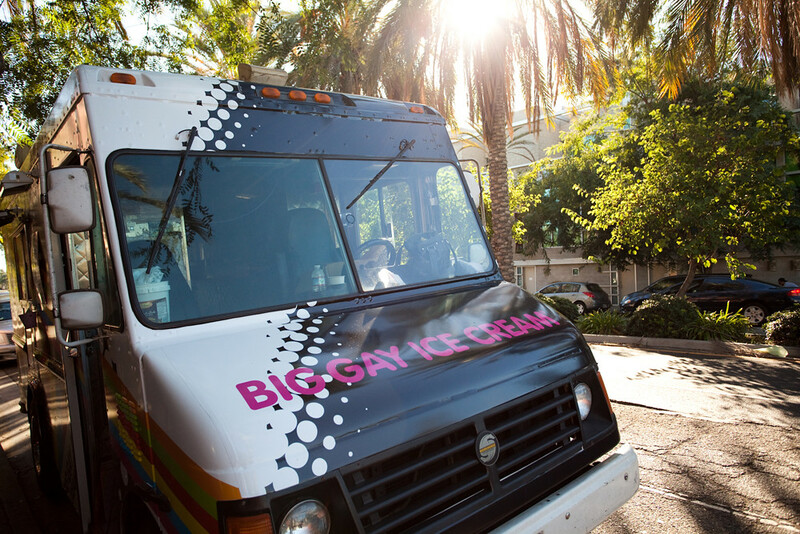 Here’s a quick photo recap from Big Gay Ice Cream’s day 3 in LA. 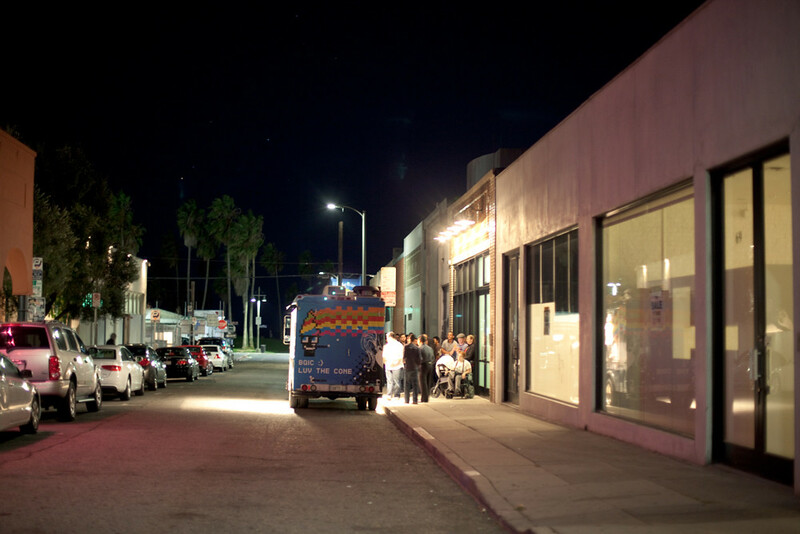 I met up with the Big Gay crew at their 2nd stop, Graffiti Sublime Coffee Bar (it's quite swanky) on La Brea Blvd. 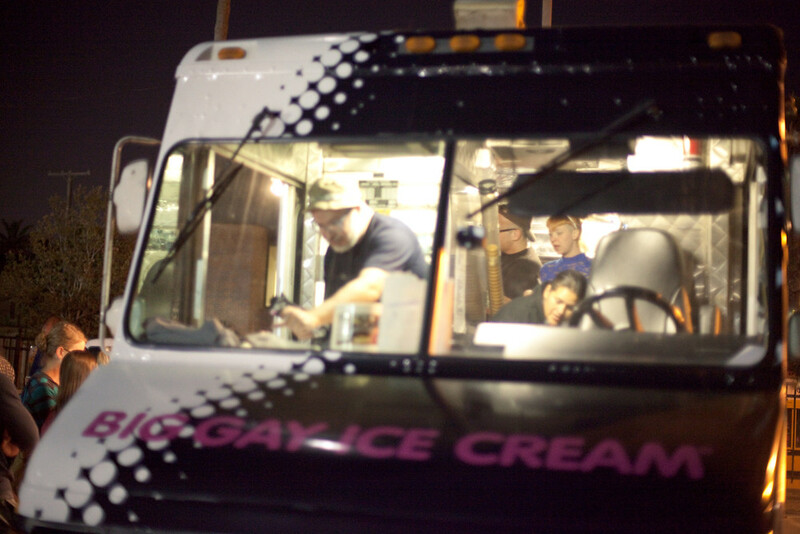 The coffee bar was super nice enough to let people bring their ice cream and enjoy them inside the bar. 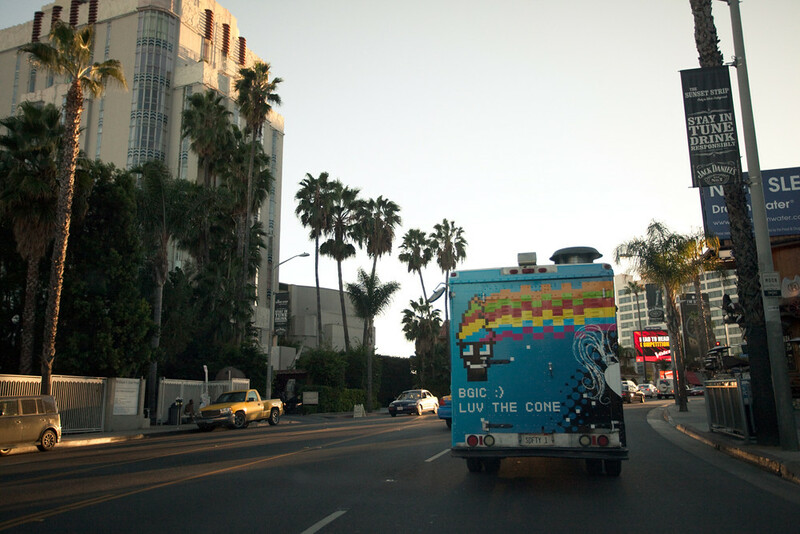 After a 2.5hrs stop at the coffee bar, we were off to Venice Beach! 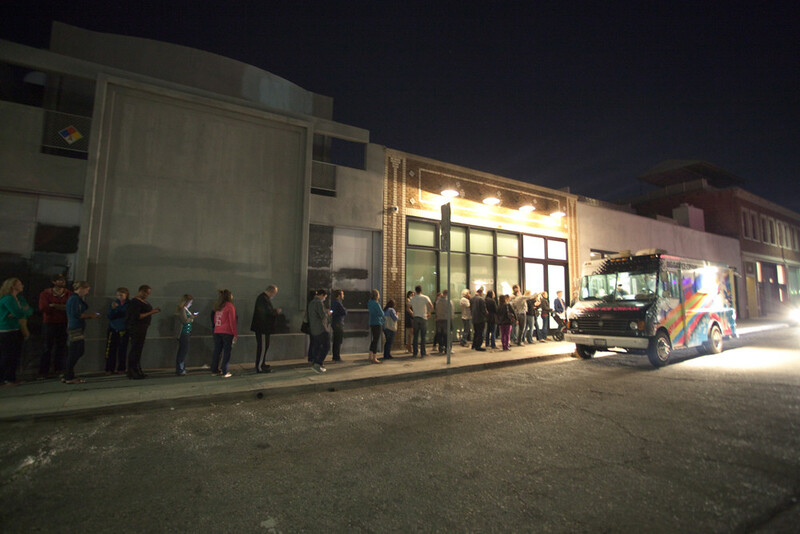 When we got to Studio of Environmental Architecture, there was already a line of people waiting. 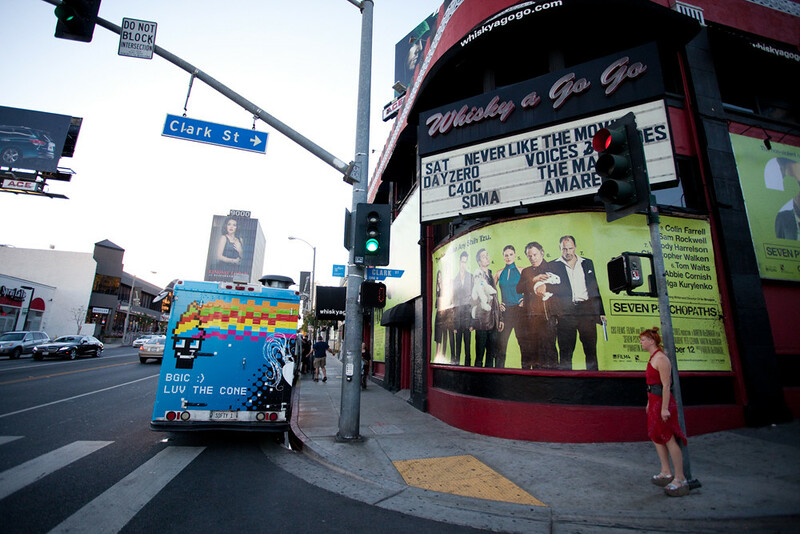 Oh Mister Cone, you're so mischievous. 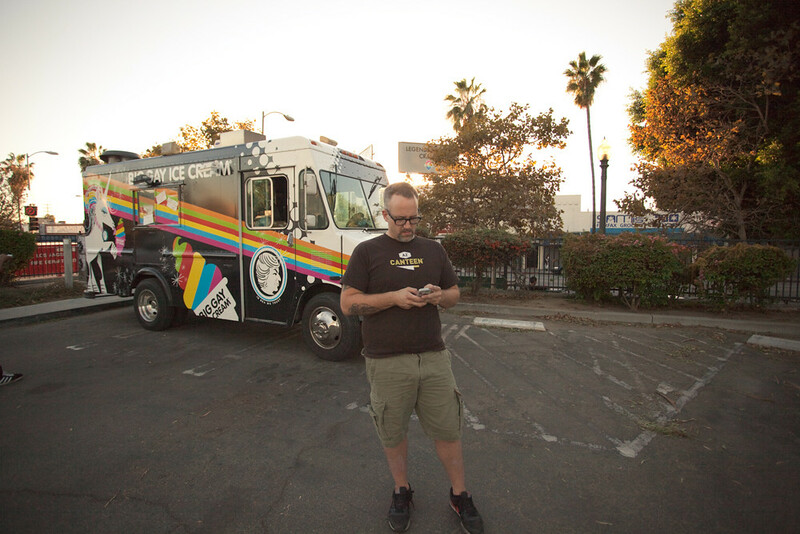 LA people, be sure to check their schedule and of course their Twitter for any changes. 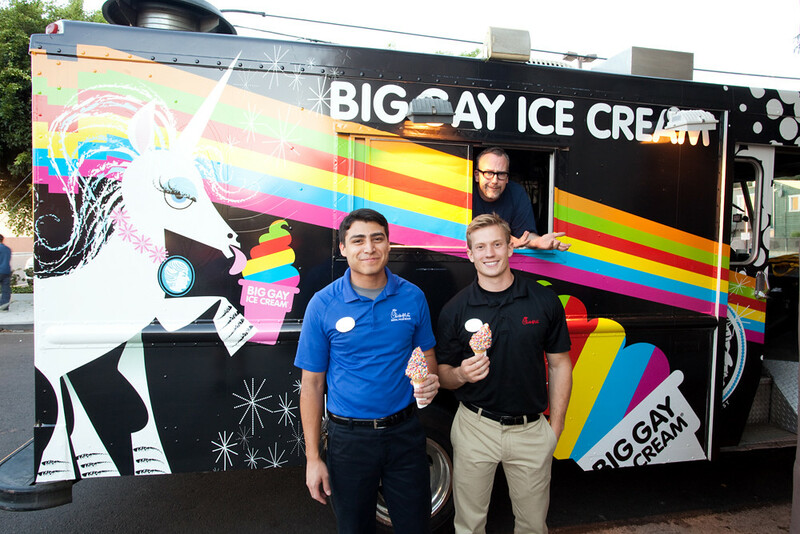 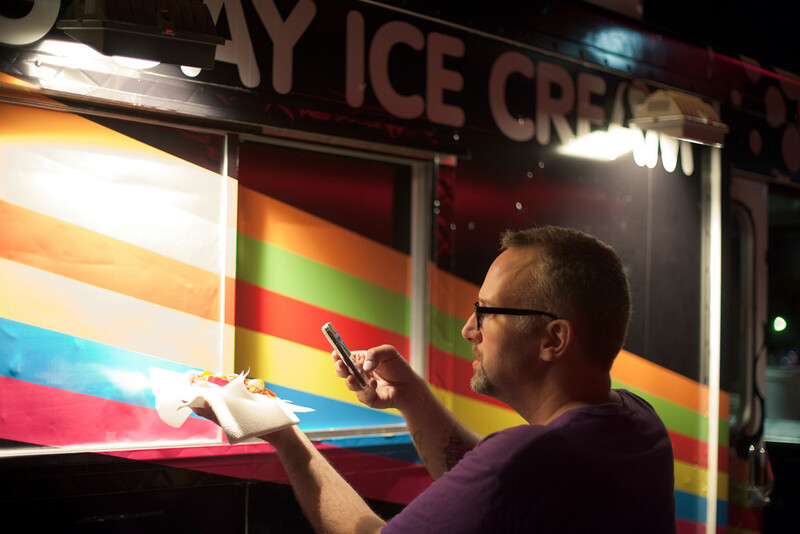 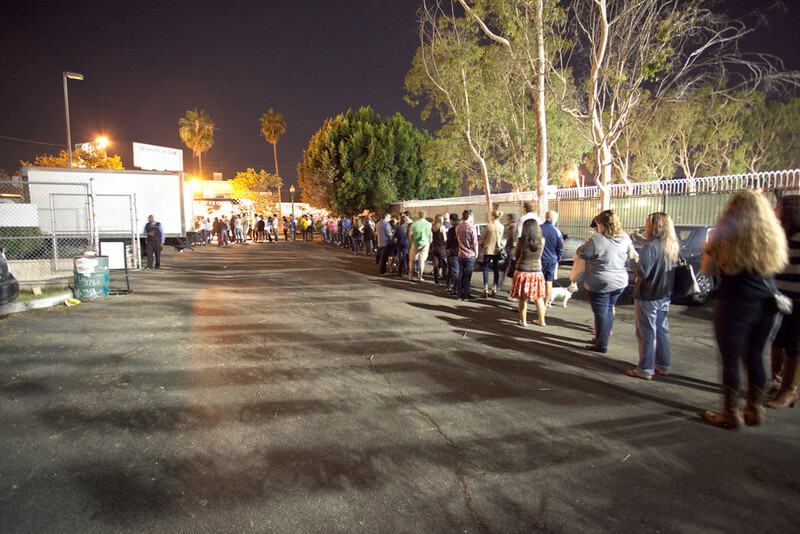 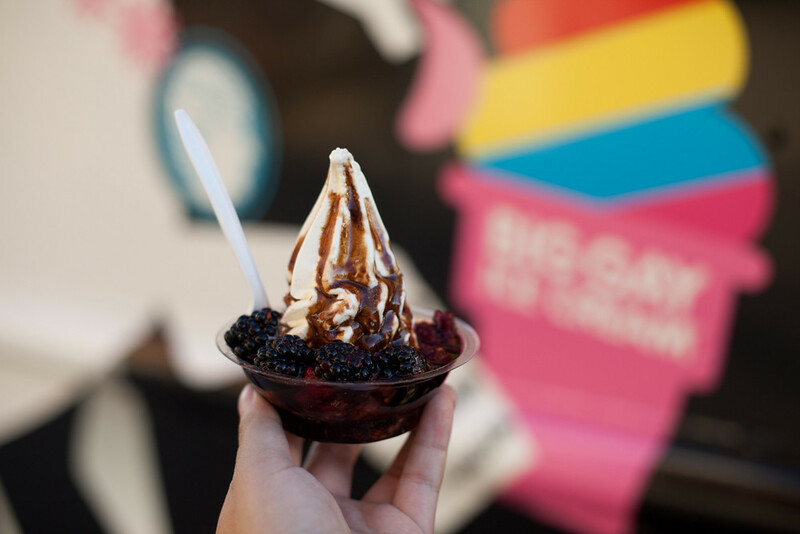 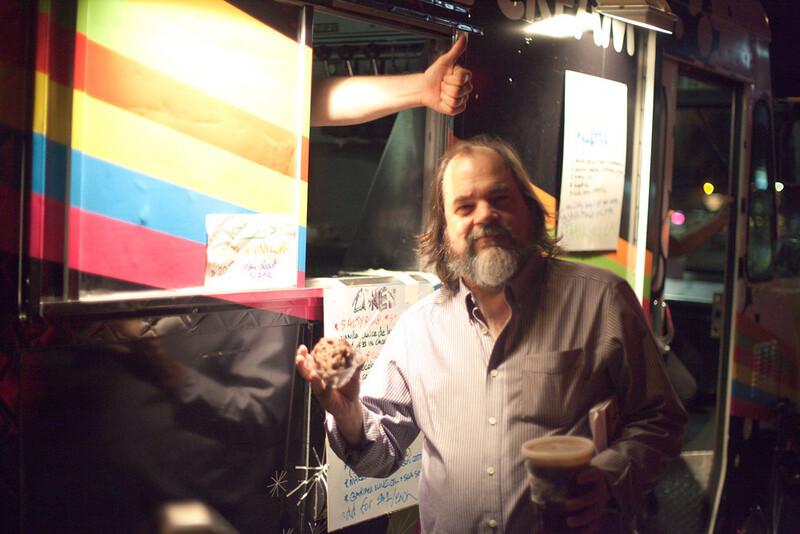 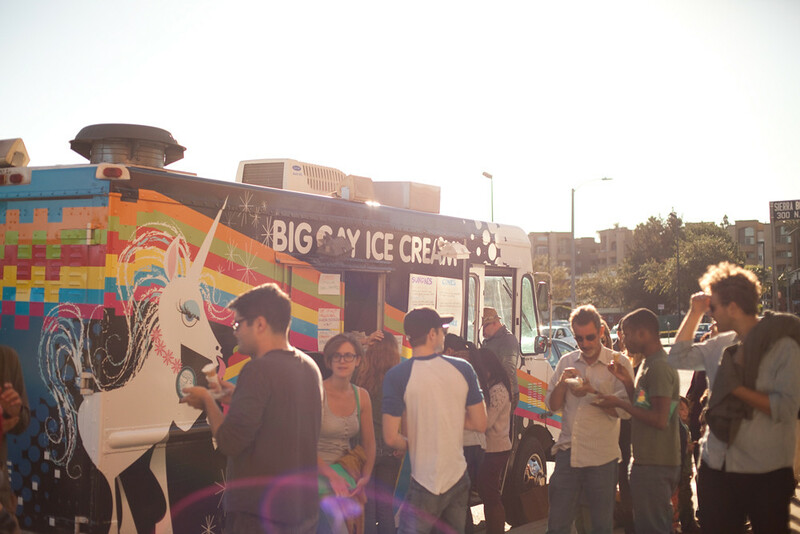 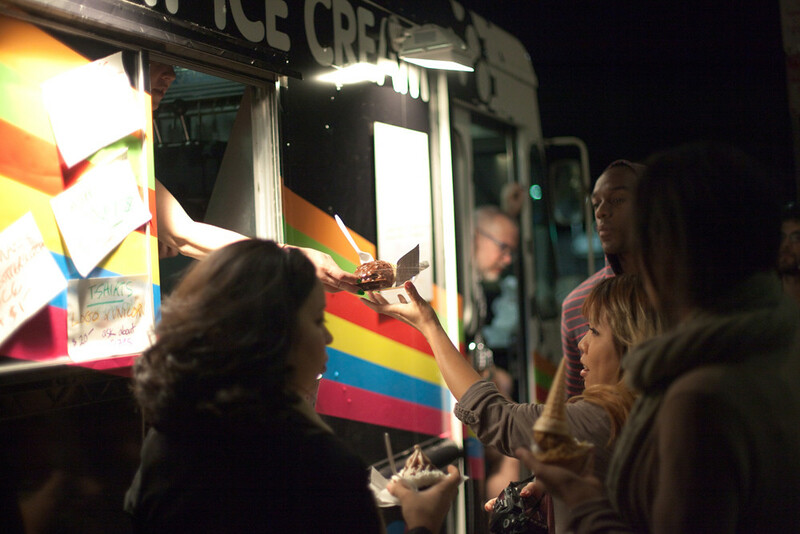 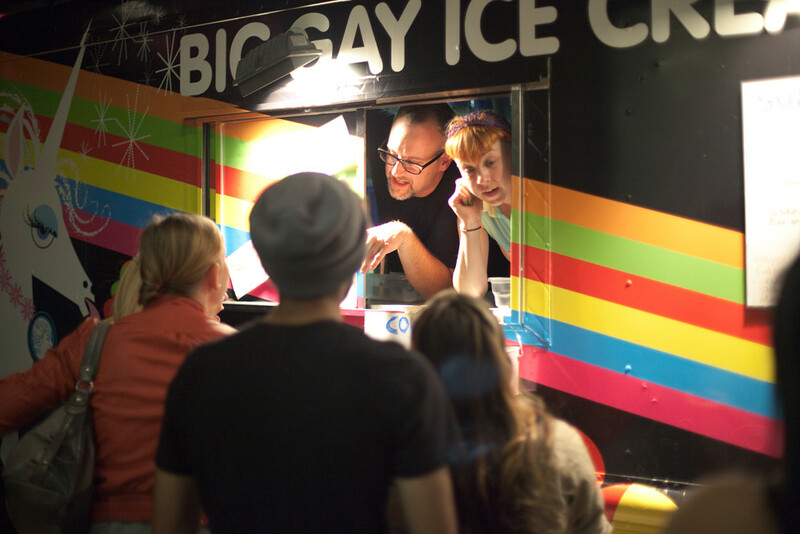 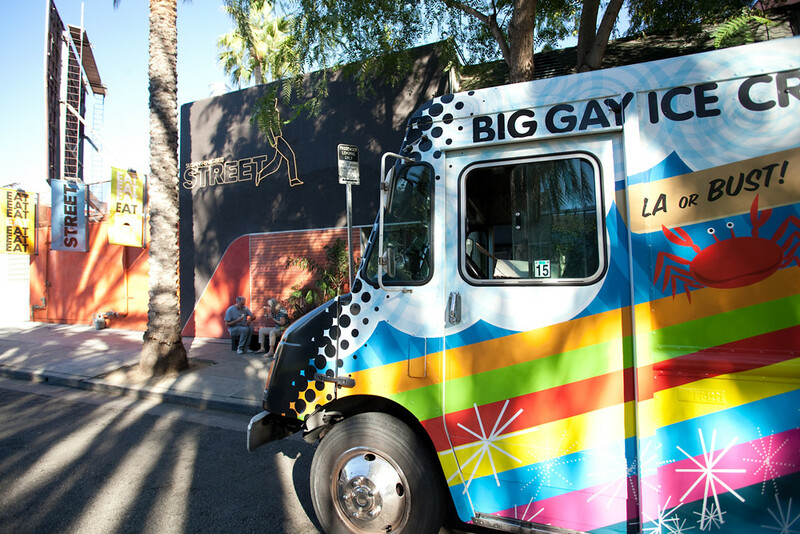 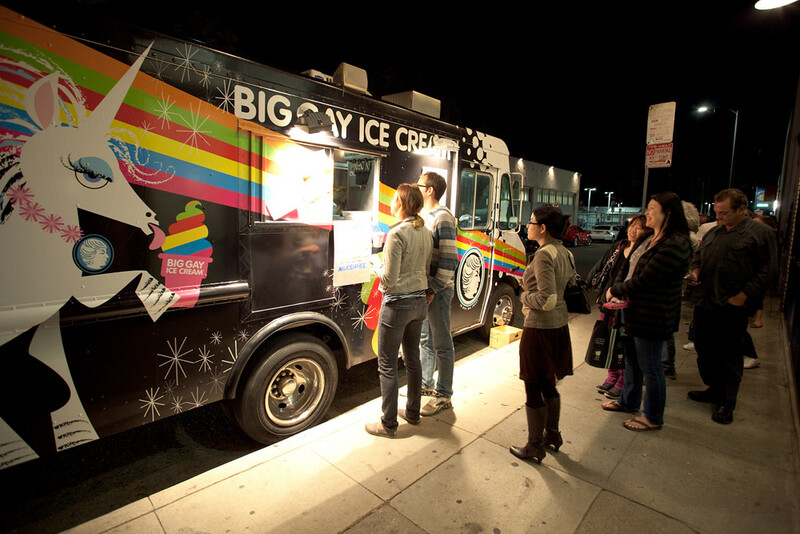 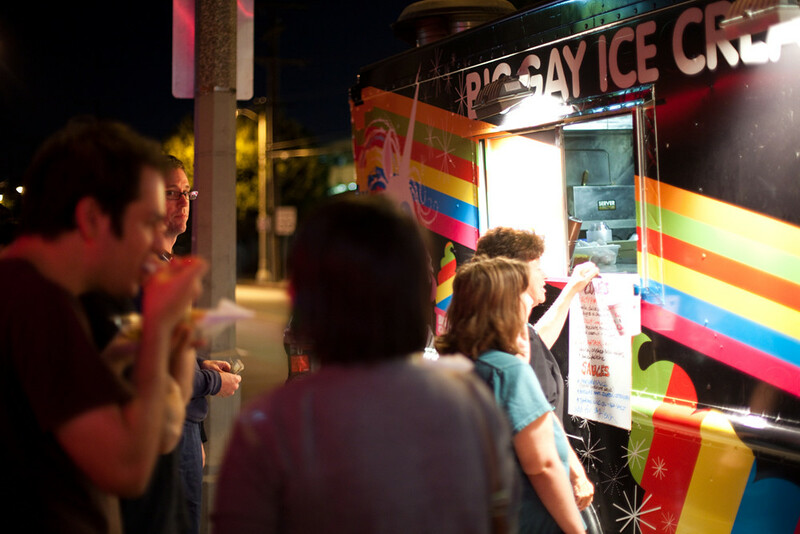 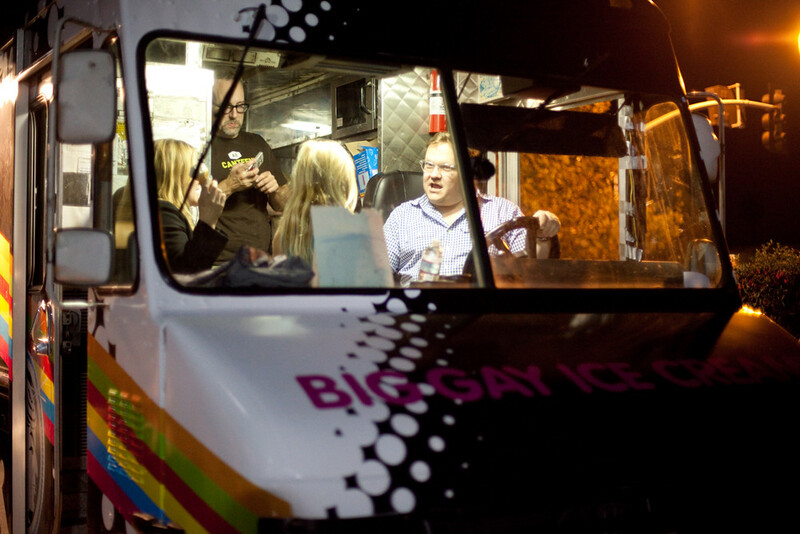 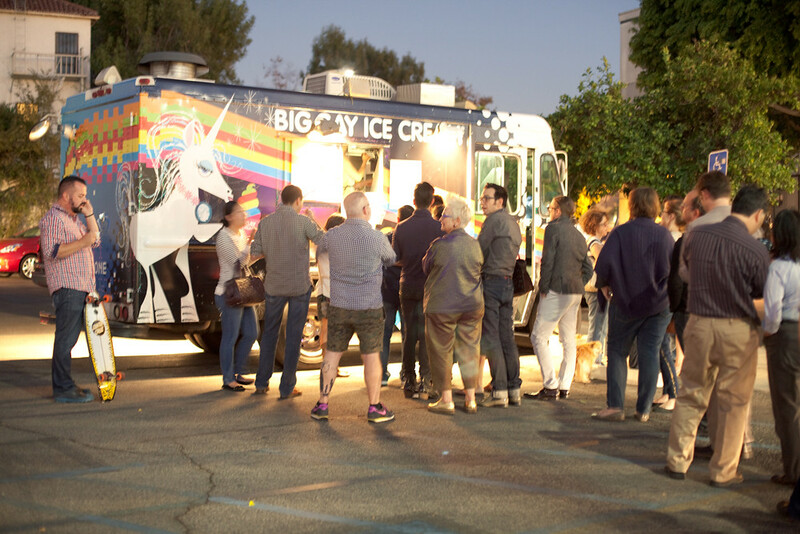 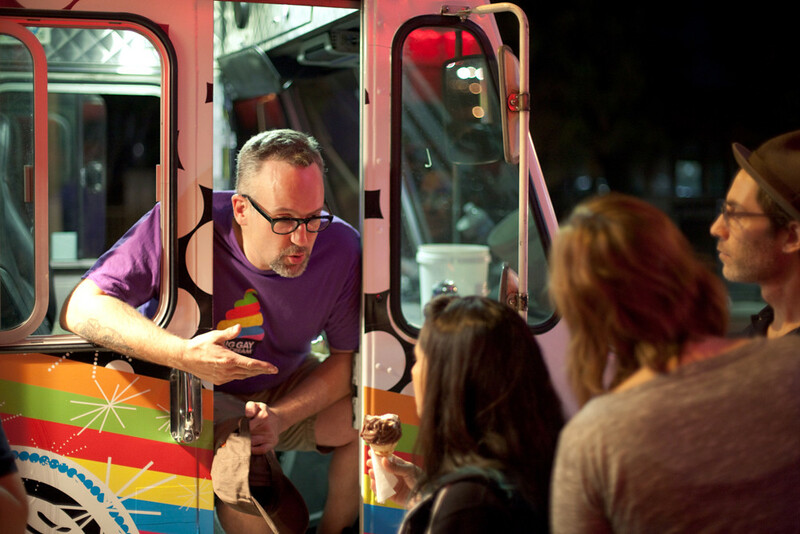 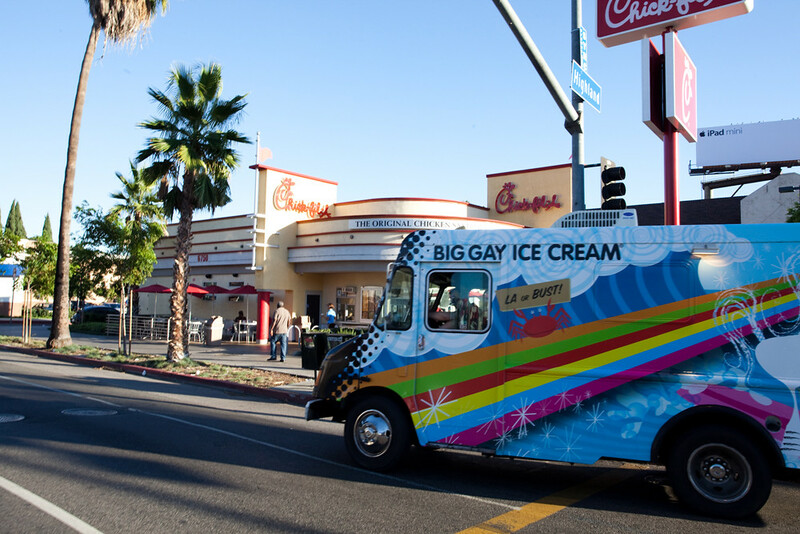 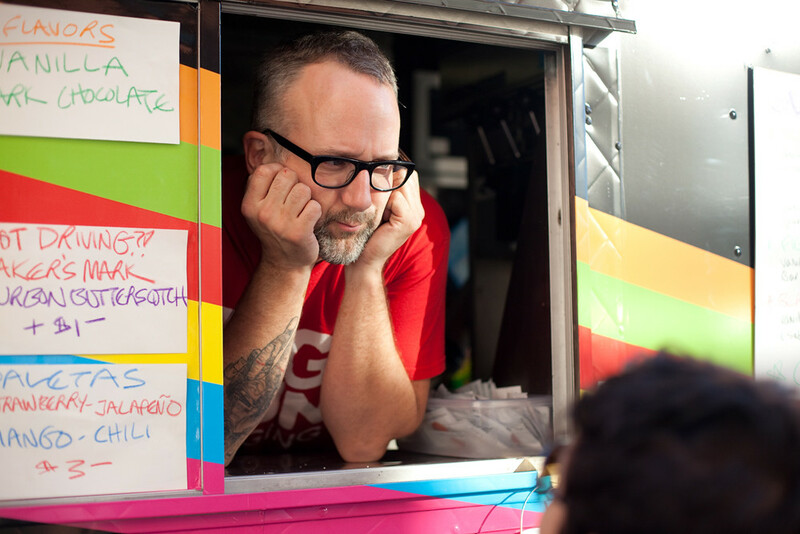 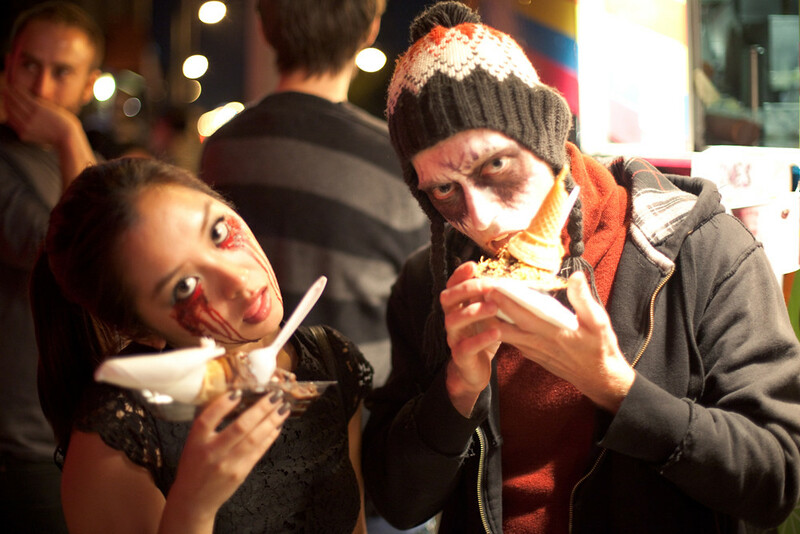 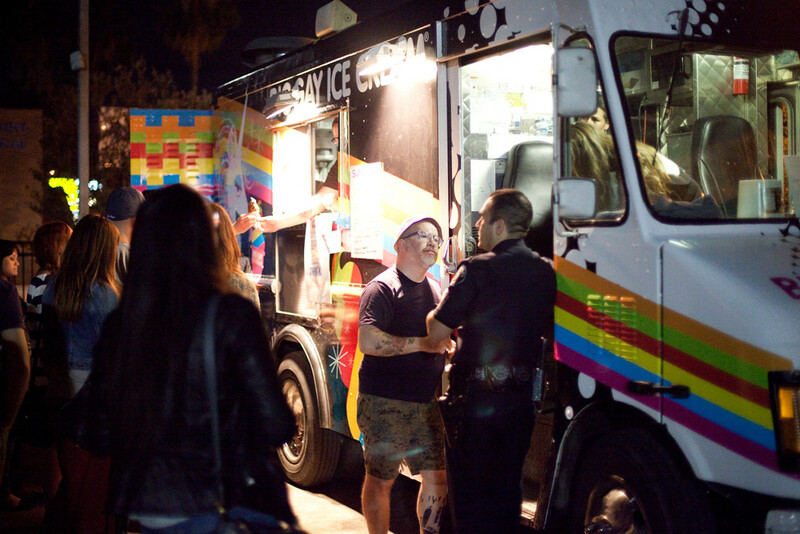 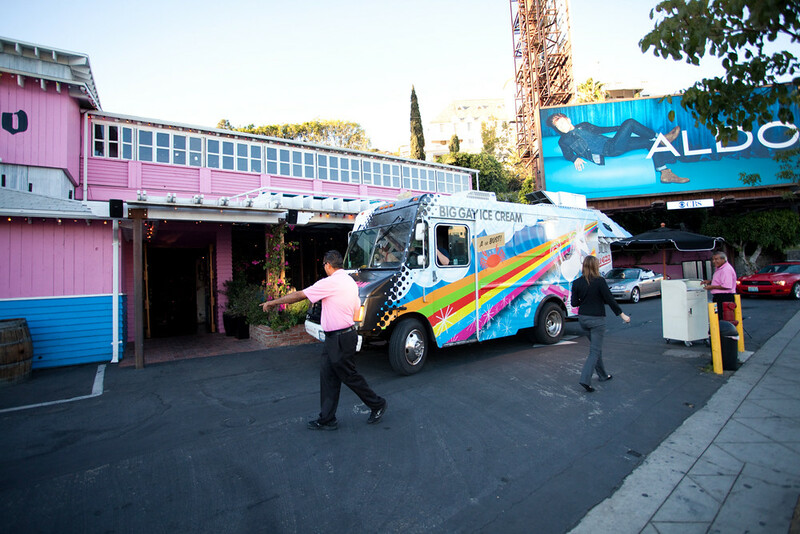 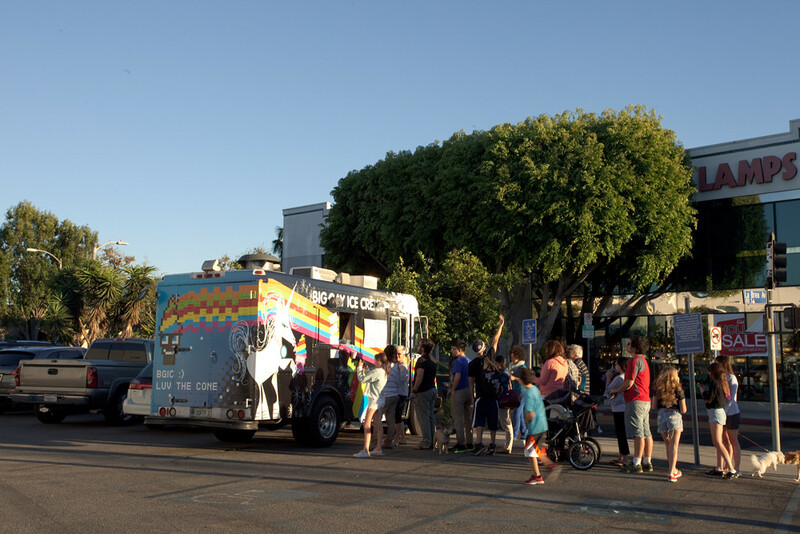 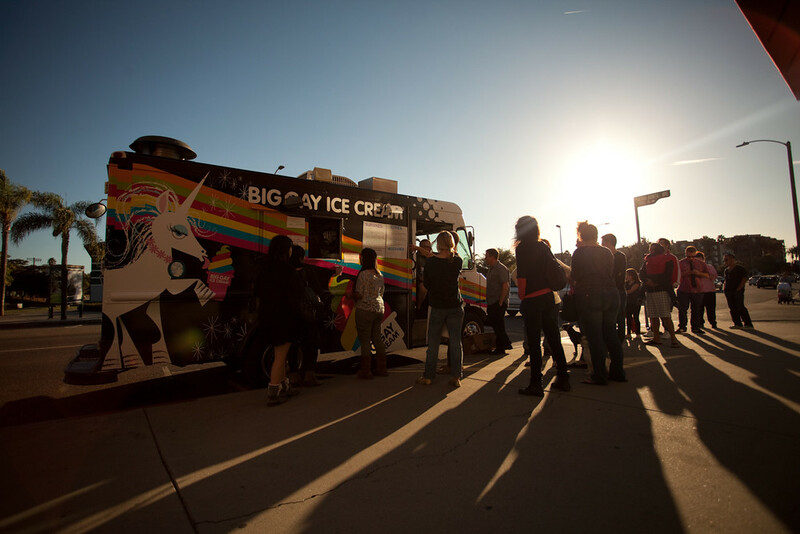 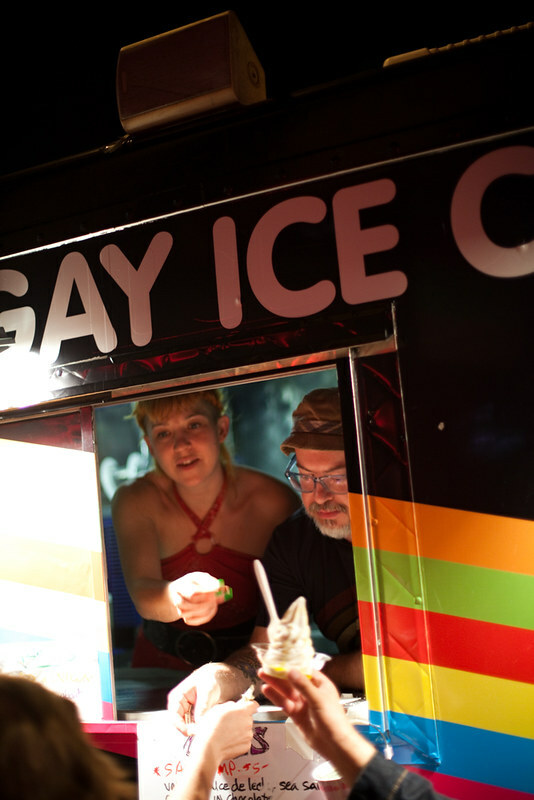 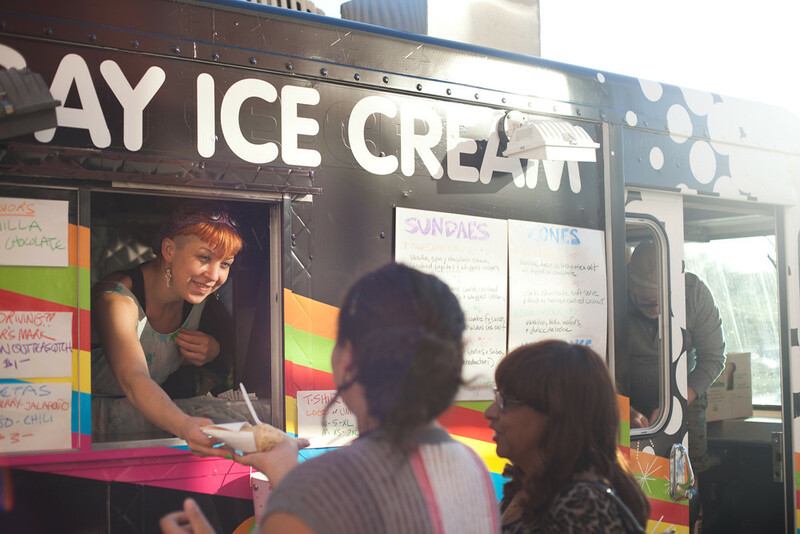 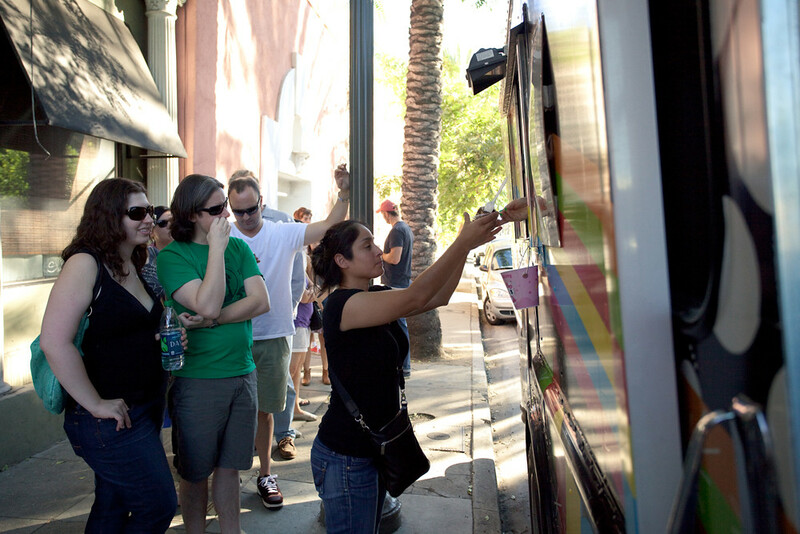 Here's a quick photo recap from Big Gay Ice Cream's day 2 in LA. 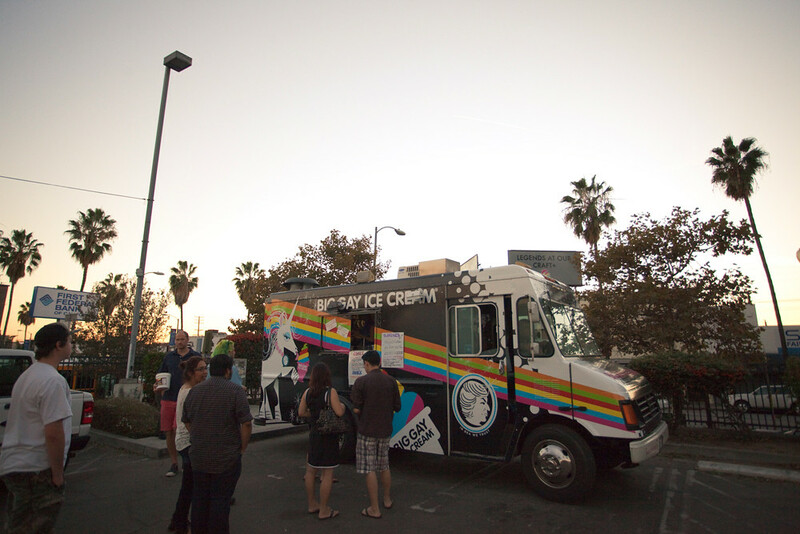 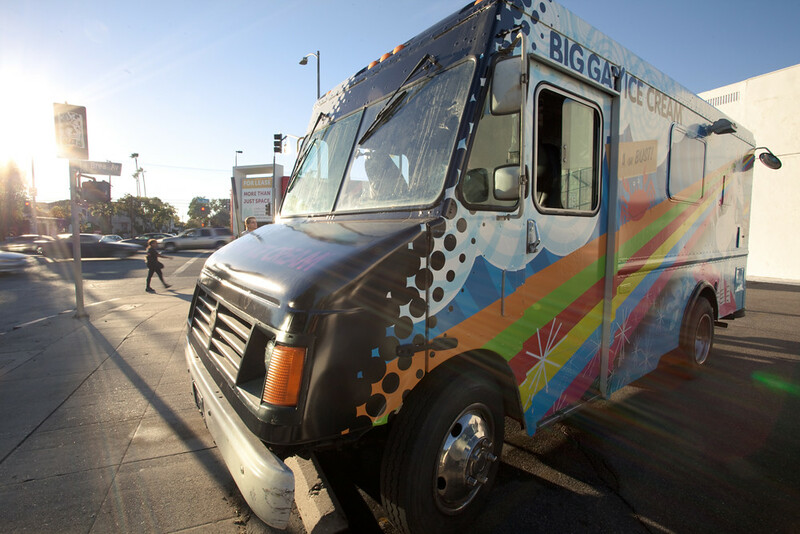 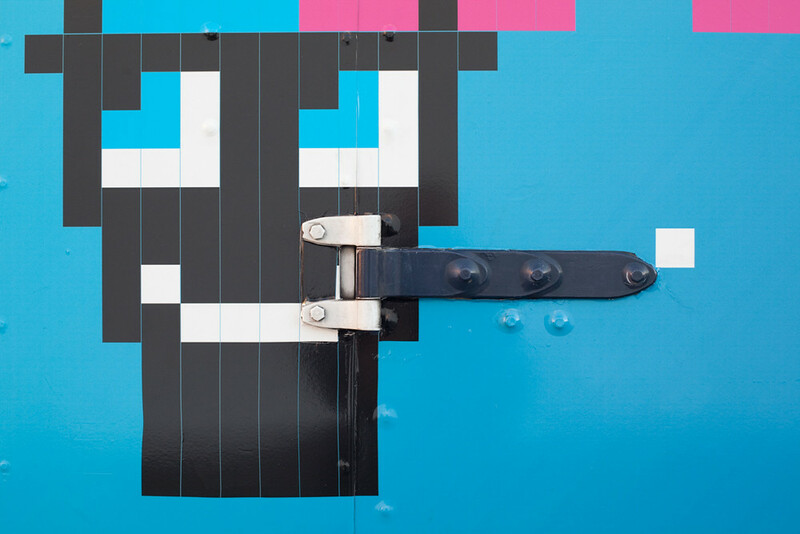 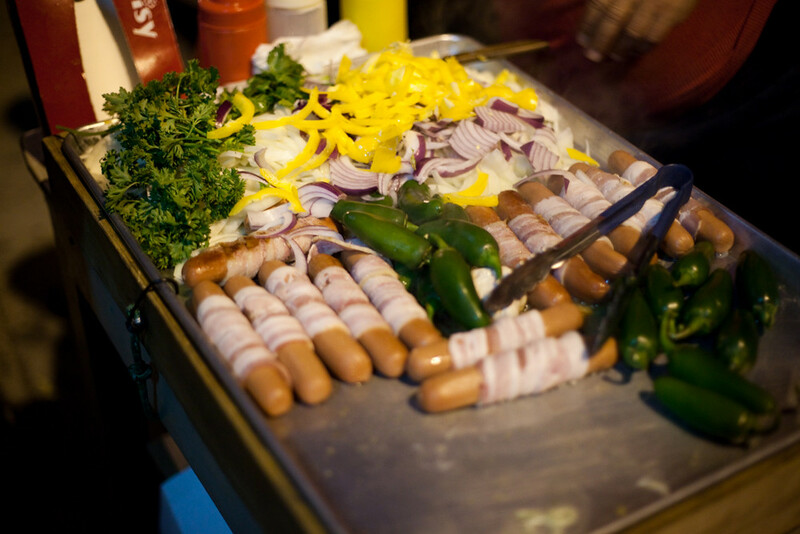 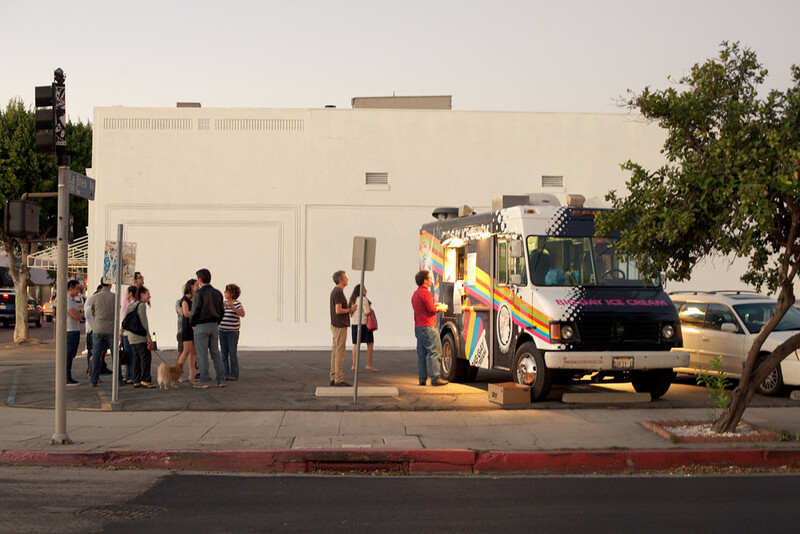 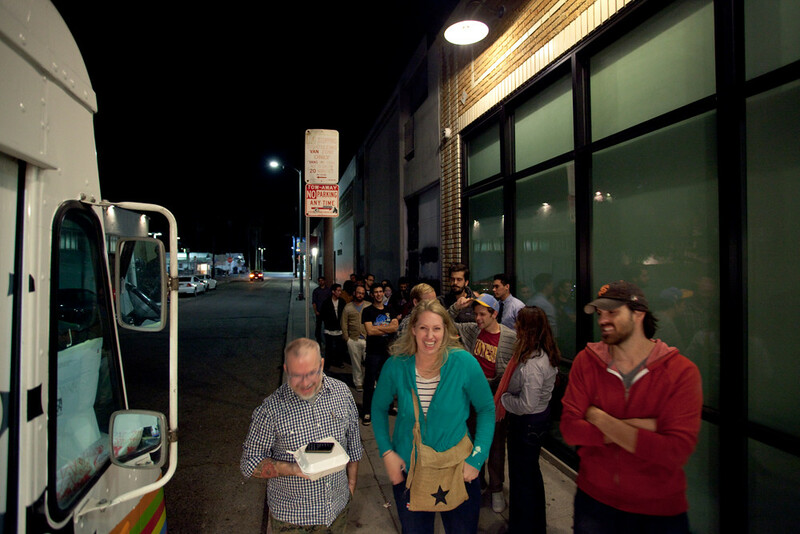 Yesterday the truck followed Kogi BBQ to the Yahoo! 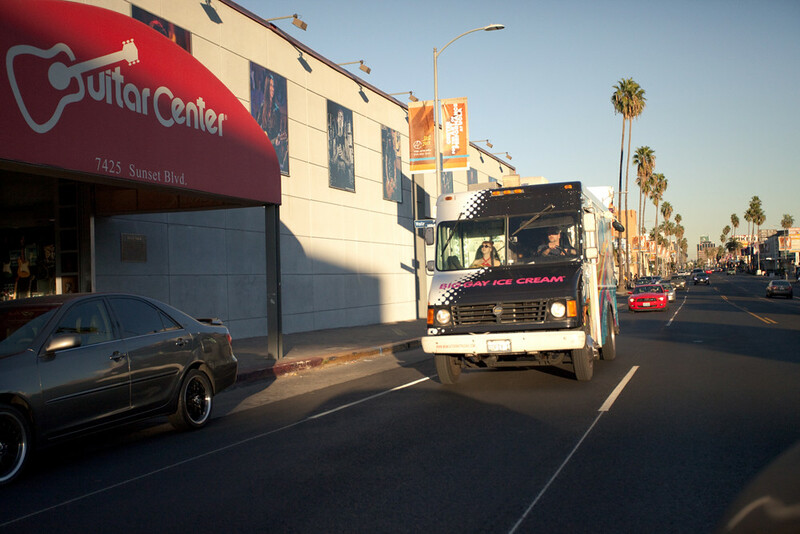 Center for lunch....which I skipped for a dim sum meal with my family. 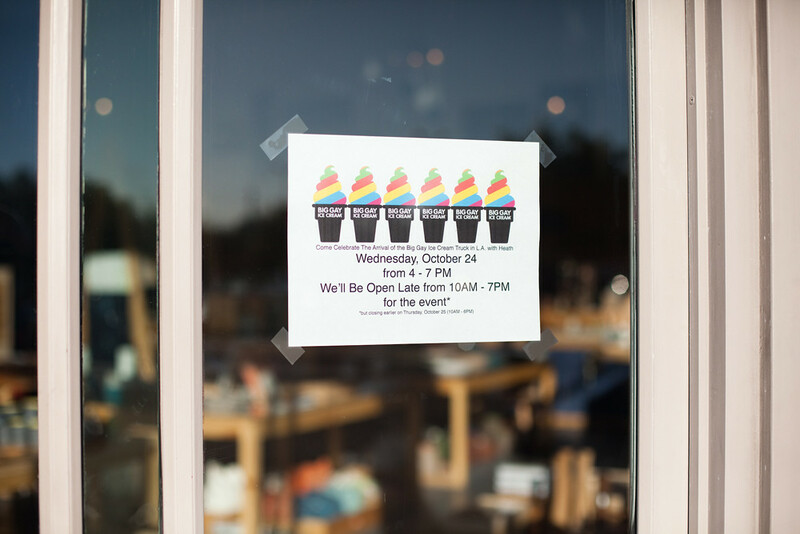 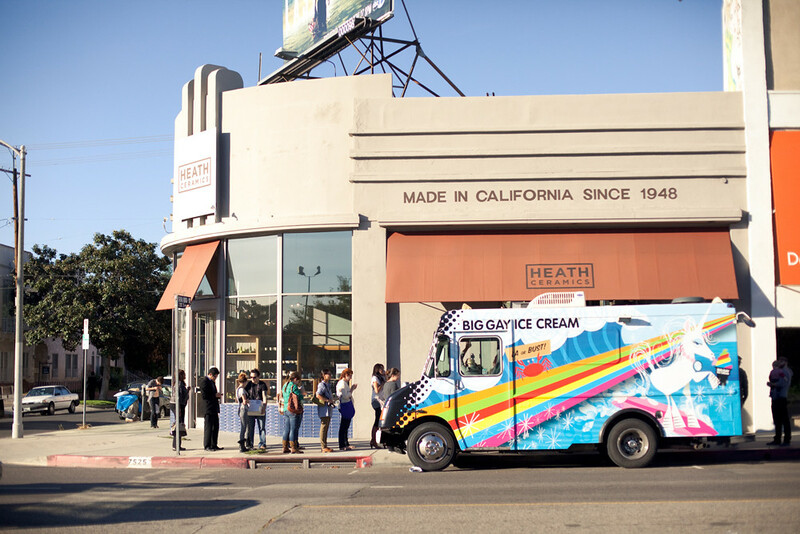 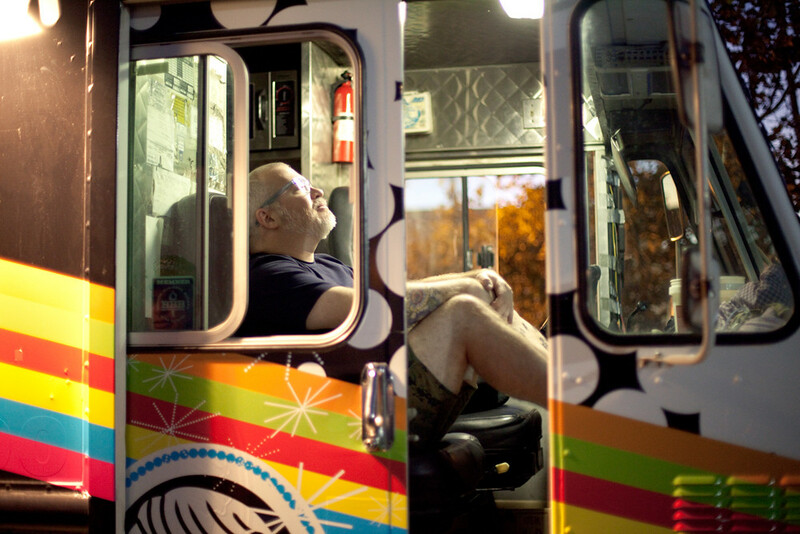 I did trek out to Heath Ceramics where Big Gay parked in front of for their late afternoon spot.